Moral rights of creators are inventions grounded in a bad analogy with property rights. If you want to maintain your “moral right” to what you’ve written, then don’t publish it. If you publish it, you are making it public. Thank you for doing so. You will make money from it for some fixed period — a period designed to provide you (but not necessarily Stephen King) with sufficient incentive to continue to create and publish works, but a short enough period that creative works can be assimilated by the culture. Why put limits on the author’s exclusive right to publish? To keep culture lively. Which is the same as keeping that culture alive. Cultural assimilation requires the freedom to talk about your work, to reuse it, misuse it, abuse it, to get it terribly wrong, to make it our own as individuals, to make it ours as a culture. Imagine a Renaissance in which “moral rights” were enforced. Can’t. I’m at the CUBE Tech conference in Berlin. (I’m going to give a first keynote on the book I’m finishing.) 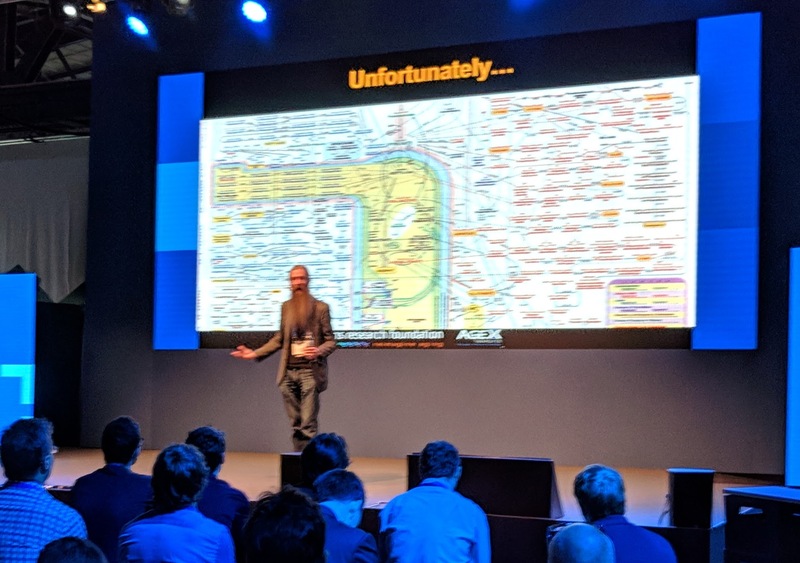 Aubrey de Grey begins his keynote begins by changing the question from “Who wants to get old?” to “Who wants Alzheimers?” because we’ve been brainwashed into thinking that aging is somehow good for us: we get wiser, get to retire, etc. Now we are developing treatments for aging. Ambiguity about aging is now “hugely damaging” because it hinders the support of research. E.g., his SENS Research Foundation is going too slowly because of funding restraints. “The defeat of aging via medicine is foreseseeable now.” He says he has to be credible because people have been saying this forever and have been wrong. “Why is aging still a problem?” One hundred years ago, a third of babies would die before they were one year old. We fixed this in the industrialized world through simple advances, e.g., hygiene, mosquito, antibiotics. So why are diseases of old age so much harder to control? People think it’s because so many things go wrong with us late in life, interacting with one another and creating incredible complexity. But that’s not the main answer. “Aging is easy to define: it is a side effect of being alive.” “It’s a fact of the operation of the human body generates damage.” It accumulates. The body tolerates a certain amount. When you pass that amount, you get pathologies of old age. Our approach has been to develop geriatric medicine to counteract those pathologies. That’s where most of the research goes. If you ask people to make categories of disease, they’ll come up with communicable, congenital, and chronic. Then most people add a fourth way of being sick: aging itself. It includes fraility, sarcopenia (loss of muscle), immunosenesence (aging of the immune system)…But that’s silly. Aging in a living organism is the same as aging in a machine. “Aging is the accumulation of damage that occurs as a side-effect of the body’s normal operation.”It is the accumulation of damage to the body that occurs as an intrinsic side-effect of the body’s normal operation. That means the categories are right, except aging covers column 3 and 4. Column 3 — specific diseases such as alzheimer’s and cancer — is also part aging. This means that aging isn’t a blessing in surprise, and that we can’t say that column 3 are high-priorities of medicine but those in 4 are not. A hundred years ago a few people started to think about this and realized that if we tried to interfere with the process of aging earlier one, we’d do better. This became the field of gerontology. Some species age much more slowly than others. Maybe we can figure out the basis for that variation. But the metabolism is really really complicated. “This is the ultimate nightmare of uncommented spaghetti code.” We know so little about how the body works. “There is another approach. And it’s completely bleeding obvious”: Periodically repair the damage. We don’t need to slow down the rate at which metabolism causes damage. We need to engineer a system we don’t understand. But “we don’t need to understand how metabolism causes damag”we don’t need to understand how metabolism causes damage. Nor do we need to know what to do when the damage is too great, because we’re not going to let it get to that state. We do this with, say, antique cars. Preventitive maintenance works. “The only question is, can we do it for a much more complicated machine like the human body? “We’re sidestepping our ignorance of metabolism and pathology. But we have to cope with the fact that damage is complicated” All of the types of damage, from cell loss toe extracellular matrix stiffening — there are 7 categories — can be repaired through a single approach: genetic repair. E.g., loss of cells can be repaired by replacing them using stem cells. Unfortunately, most of the funding is going only to this first category. SENS was created to enable research on the other seven. Aubrey talks about SENS’ work on protecting cells from the bad effects of cholesterol. He points to another group (unnamed) that has reinvented this approach and is getting a lot of notice. Will this be only for the rich? Overpopulation? Boredom? Pensions collapse? We’re taking care of overpopulation by cleaning up its effects, he says. He says there are solutions to these problems. But there are choices we have to make. No one wants to get Alzheimers. We can’t have it both ways. Either we want to keep people healthy or not. He says SENS has been successful enough that they’ve been able to spin out some of the research into commercial operations. But we need to cary on in the non-profit research world as well. Project 21 aims at human rejuvenation clinical trials. I just took a 45 minute walk through Berlin and did not pass a single bank. I know this because I was looking for an ATM. 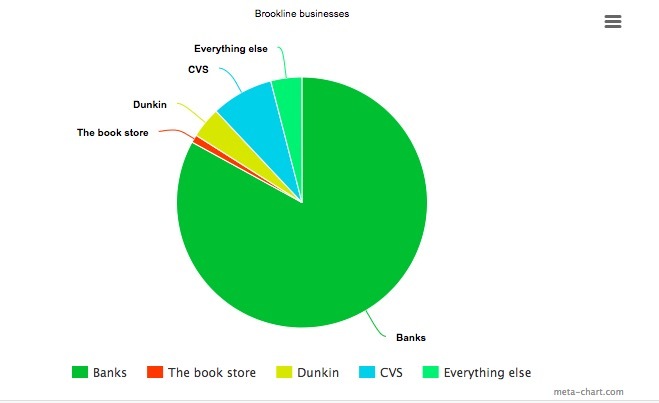 In Brookline, you can’t walk a block without passing two banks. When a local establishment goes out of business, the chances are about 90 percent that a bank is going to go in. The town is now 83 percent banks. In 1911, the former mayor of Kingston, Jamaica, wrote a letter [pdf] to Thomas Alva Edison declaring that “The days of sitting down and writing one’s thoughts are now over” … at least if Edison were to agree to take his invention of the voice recorder just one step further and invent a device that transcribes voice recordings into speech. It was, alas, an idea too audacious for its time. Under the present condition we dictate our matter to a shorthand writer who then has to typewrite it. What a labour saving device it would be if we could talk direct to the typewriter itself! The convenience of it would be enormous. It frequently occurs that a man’s best thoughts occur to him after his business hours and afetr [sic] his stenographer and typist have left and if he had such an instrument he would be independent of their presence. If my idea is worthless I hope you will pardon me for trespassing on your time and not denounce me too much for my stupidity. If it is not, I think it is a machine that would be of general utility not only in the commercial world but also for Public Speakers etc. I am unfortunately not an engineer only a lawyer. If you care about wasting a few lines on me, drop a line to Philip Stern, Barrister-at-Law at above address, marking “Personal” or “Private” on the letter. The problem you speak of would be enormously difficult I cannot at present time imagine how it could be done. The scan of the letter lives at Rutger’s Thomas A. Edison Papers Digital Edition site: “Letter from Philip Cohen Stern to Thomas Alva Edison, June 5th, 1911,” Edison Papers Digital Edition, accessed May 6, 2018, http://edison.rutgers.edu/digital/items/show/57054. Thanks to Rutgers for mounting the collection and making it public. And a special thanks to Lewis Brett Smiler, the extremely helpful person who noted Stern’s letter to my sister-in-law, Meredith Sue Willis, as a result of a talk she gave recently on The Novelist in the Digital Age. By the way, here’s Philip Stern’s obituary. I’ve long wondered — like for a couple of decades — when software developers who write algorithms that produce beautiful animations of water will be treated with the respect accorded to painters who create beautiful paintings of water. Both require the creators to observe carefully, choose what they want to express, and apply their skills to realizing their vision. When it comes to artistic vision or merit, are there any serious differences? from Rock, Paper, Shotgun points to v r 3 a museum of water animations put together by Pippin Barr. (It’s conceivable that Pippin Barr is Philippa’s hobbit name. I’m just putting that out there.) The museum is software you download (here) that displays 24 varieties of computer-generated water, from the complex and realistic, to simple textures, to purposefully stylized low-information versions. Philippa also points to David Li’s Waves where you can adjust wind, choppiness, and scale through sliders. More than ten years ago we got to the point where bodies of water look stunning in video games. (Falling water is a different question.) In ten years, perhaps we’ll be there with hair. In the meantime, we should recognize software designers as artists when they produce art. Good work, PC Gamer, in increasing the number of women reviewers, and especially as members of your editorial staff. As a long-time subscriber I can say that their voices have definitely improved the magazine. More please! I’m at the STEAM ed Finland conference in Jyväskylä. Geun-Sik Jo is a professor at Inha University in Seoul. He teaches AI and is an augmented reality expert. He also has a startup using AR for aircraft maintenance [pdf]. Why do we need mashups? To foster innovation. To create new systems very efficiently. He uses the integration of Google Maps into Craigslist as a simple example. TVs today are computers with their own operating systems and applications. Prof. Jo shows a video of AR TV. The “screen” is a virtual image displayed on special glasses. He shows some videos created by his students that present AR objects that are linked to the Internet: a clickable travel ad, location-based pizza ordering, a very cool dance instruction video, a short movie. He shows a demo of the AI Content Creation System that can make movies. In the example, it creates a drama, mashing up scenes from multiple movies. The system identifies the characters, their actions, and their displayed emotions. I’m at the STEAM ed Finland conference in Jyväskylä. Sonja Amadae at Swansea University (also currently at Helsinki U.) works on robotic ethics. She will argue in this talk that computers are algorithmic, that they only do what they’re programmed to do, that they don’t understand what they’re doing and they don’t feel human experience. AI is, she concludes, a tool. AI is like a human prosthetic that helps us walk. AI is an enhancement of human capabilities. She will talk about about three cases. A bank funded a project [cool site about it] to see what would happen if a computer had all of the data about Rembrandt’s portraits. They quantified the paintings: types, facial aspects including the size and distance of facial features, depth, contour, etc. They programmed the algorithm to create a portrait. The result was quite goood. People were pleased. Of course, it painted a white male. Is that creativity? We are now recogizing the biases widespread in AI. E.g., “Biased algorithms are everywhere and one seeems to care” in MIT Tech Review by Will Knight. She also points to the time that Google mistakenly tagged black people as “gorillas.” So, we know there are limitations. So, we fix the problem…and we end up with facial recognition systems so good that China can identify jaywalkers from surveillance cams, and then they post their images and names on large screens at the intersections. The aim of one project was to detect forgeries. It was built on work done by Marits Michel van Dantzig in the 1950s. He looked at the brushstrokes on a painting; artists have signature brushstrokes. Each painting has on average 80,000 brushstrokes. A computer can compare a suspect painting’s brushstrokes with the legitimate brushstrokes of the artist. The result: the AI could identify forgeries 80% of the time from a single stroke. Computational creativity (also known as artificial creativity, mechanical creativity, creative computing or creative computation) is a multidisciplinary endeavour that is located at the intersection of the fields of artificial intelligence, cognitive psychology, philosophy, and the arts. To construct a program or computer capable of human-level creativity. To better understand human creativity and to formulate an algorithmic perspective on creative behavior in humans. To design programs that can enhance human creativity without necessarily being creative themselves. If you google “computational art” and you’ll see many pictures created computationally. [Or here.] Is it genuine creativity? What’s going on here? We know that AI’s products can be taken as human. A poem created by AI won a poetry contest for humans. E.g., “A home transformed by the lightning the balanced alcoves smother” But the AI doesn’t know it’s making a poem. Can AI make art? Well, art is in the eye of the beholder, so if you think it’s art, it’s art. 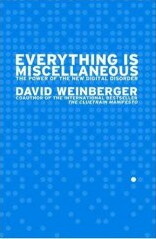 But philosophically, we need to recall Turing-Church Computability which states that the computation “need not be intelligible to the one calculating.” The fact that computers can create works that look creative does not mean that the machines have the awareness required for creativity. Can the operations of the brain be simulated on a computer? The Turing-Church statement says yes. But now we have computing so advanced that it’s unpredictable, probabilistic, and is beyond human capability. But the computations need not be artistic to the one computing. 1. Information and data are not meaning or knowledge. 2. Every single moment of existence is unique in the universe. Every single moment we see a unique aspect of the world. A Turing computer can’t see the outside world. It only has what it’s internal to it. 3. Human mind has existential experience. 4. The mind can reflect on itself. 6.The universe has non-computable systems. Equilibrium paths? “Aspect seeing” means that we can make a choice about how we see what we see. And each moment of each aspect is unique in time. In SF, the SPCA uses a robot to chase away homeless people. Robots cannot exercise compassion. Computers compute. Humans create. Creativity is not computable. Q: [me] Very interesting talk. What’s at stake in the question? A: AI has had such a huge presence in our lives. 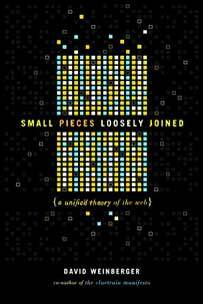 There’s a power of thinking about rationality as computation. Gets best articulated in game theory. Can we conclude that this game theoretical rationality — the foundational understanding of rationality — is computable? Do human brings anything to the table? This leads to an argument for the obsolescence of the human. If we’re just computational, then we aren’t capable of any creativity. Or free will. That’s what’s ultimately at stake here. Q: Can we create machines that are irrational, and have them bring a more human creativity? A: There are many more types of rationality than game theory sort. E.g., we are rational in connection with one another working toward shared goals. The dichotomy between the rational and irrational is not sufficient.